The Citroen C4 Picasso Launch on 26th July was a great success here at Swindon Motor Park. Over 25 guests came in to see the new Citroen and we secured 6 orders for September. All of the guests were impressed with the space inside the car. Mr Canning referred to it as “like the Tardis” in Dr Who. 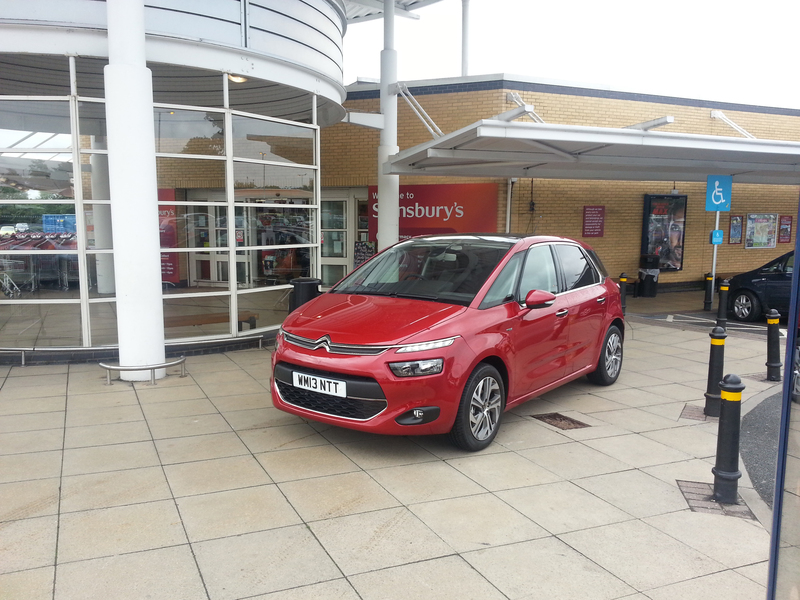 Since the launch weekend, the C4 Picasso has been on display at Sainsbury’s, allowing shoppers to see the car, sit in it and book appointments to test drive. The response has been great! On the road the C4 Picasso is incredibly refined. The ride quality over all types of road surface is excellent and it is a superb long-distance companion. There is no question that the C4 Picasso is one of the most comfortable mid-size MPVs. The dashboard is split into two screens: a large central one that acts as a speedo and rev counter and can be personalised by the driver and a smaller touch screen lower down for the stereo, SatNav and ventilation controls. Elsewhere there are massaging front seats, a panoramic sunroof, extended windscreen and airline seat-style foot rests. On the more practical side there are 16 storage areas around the cabin, a larger 630-litre boot and three individual rear seats (meaning three separate Isofix mountings when most traditional hatchbacks have only two). Much of the above has been seen before but together they help to make driving with the family that much easier. The C4 Picasso is a desirable, grown-up and practical MPV choice. If you would like a test drive call us now on 0844 248 8405. The Citroen C4 Picasso is available at Swindon Motor Park here now.